Stephen W. Terrell's (MUSIC) Web Log: THROWBACK THURSDAY: Happy Birthday Alan Lomax! 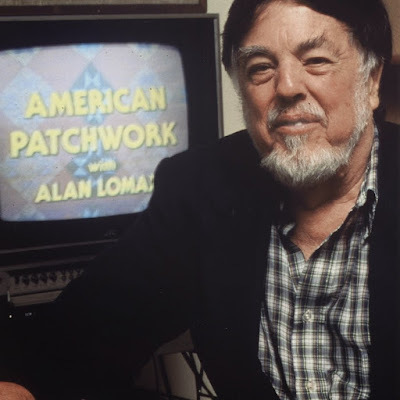 Wednesday would have been Alan Lomax's 102nd birthday. Had he not been born, American music would have suffered beyond description. He died in 2002, but his legacy is immortal. Lomax, following in the footsteps of his father, John Lomax, was a musicologist who, beginning in the 1930s, traveled through the South -- to plantations, prisons, backwood churches, Louisana fai do-dos -- recording thousands of wild, raw songs and stories of the people that you didn't hear on the radio. John and Alan Lomax helped establish the Library of Congress’ Archive of American Folk Song. Through the years Alan Lomax would cross paths with some of the most revered names in folk, blues, jazz and hillbilly music. He recorded McKinley Morganfield -- later to become known as Muddy Waters -- recording him playing acoustic blues while he was still living on Stovall Plantation near Clarksdale, Mississippi. He was the first to record Leadbelly and Woody Guthrie. He also did sessions with Jelly Roll Morton, Reverend Gary Davis, Big Bill Broonzy and Missisippi Fred McDowell. 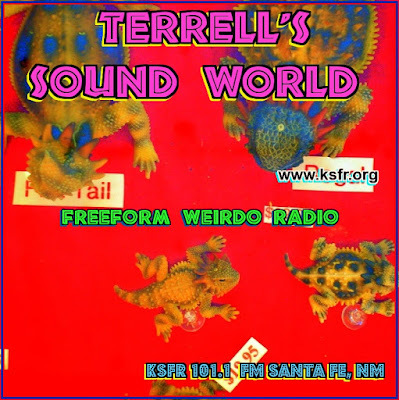 He recorded the folk music of Europe and the Caribbean. Still, it's the music he collected along the backroads of the American South that I cherish the most. Some of Lomax's greatest recordings are by those who never achieved popularity very far outside of their home towns. Today I celebrate such singers along with Lomax. One was Alabama-born Vera Hall, whose haunting "Another Man Done Gone" is a masterpiece in the rough. This celebration of the Titanic disaster by Georgia singer Bessie Jones in my book is Lomax's greatest single recording. Lomax helped bring the strange and powerful music known as Sacred Harp to those of us who never would have hear it otherwise. Lomax went to Louisiana's infamous Parchman Farm prison in the late 1940s to record songs of the inmates. The movie O Brother Where Art Thou used one of his Parchman work-gang songs, "Po' Lazarus." Here's another one called "Rosie." But not all the great music that Lomax found was in the fields or the prisons or the churches of the South. Apparently he also heard some incredible music in his own New York apartment. Here's a film clip of one of his picking parties featuring Clarence Ashley and Doc Watson performing the classic murder ballad, "The Banks of the Ohio." This handful of videos only scratch the surface of Alan Lomax's musical world. Check out hours of music and interviews at The Alan Lomax Archive YouTube channel . And visit his Association for Cultural Equity online archives.